First, a dentist numbs the tooth and surrounding soft tissue, then makes an opening through the crown to reach what is called the pulp chamber. This section of the tooth is where the infection lives. In order to remove the infection, traditional dentists use a file to clear the infected pulp out of the inside of a tooth. Using a sprayer, the dentist is able to clean the canal and remove any residual bacteria. To prevent further damages from exposure, he or she will then fill the canal with a permanent material called gutta-percha. If the crown requires extra support, patients may require a post inside of the root. Finally, the dentist seals the opening with a temporary filling until it is ready to be outfitted with a permanent crown or cap that is placed over the top of the tooth. The dead cells are rejected by the body and compromise the immune system, requiring patients with unsuccessful root canals to take antibiotics and pain pills to cope. The toxins that are trapped inside the tooth can aggravate the area or transfer to other parts of the body causing autoimmune diseases. Recent studies have shown that latent infections that occur after root canal procedures are linked to systemic illnesses. Dr. Weston Price claims that should bacteria become trapped inside the tooth after it is filled with synthetic material, the body reacts adversely. Some potential complications after a root canal include circulatory and heart diseases. 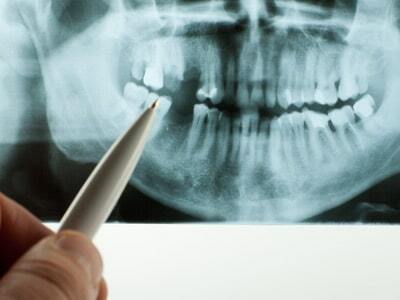 Joint problems and arthritis are two additional health issues with research ties to root canals. Dr. Price also claims that because the tooth is filled and does not receive blood flow, the antibiotics can’t reach the area to fight further infection (ii). For most healthy individuals, the body controls the organisms that could potentially escape their teeth after a root canal and try to attack other areas of the body. But for some, white blood cells may not be as effective at attacking and preventing these issues over time. In the holistic dentistry field, professionals recognize the connection between various parts of the mouth and their associated organs. Specifically, it is believed that teeth lie on meridians that link individual teeth with other organs and body systems. Take one look at the Meridian Tooth Chart, and it soon becomes clear how an oral infection from a root canal can cause serious health issues throughout the entire body. To learn more about holistic dentistry in Miami and your alternatives for root canal procedures, contact the Assure A Smile office. We can help you determine the best treatment for your cavities, abscesses, and fractures, while explaining the potential risks associated with different treatment options. Contact us online, or call our friendly front desk at 305-274-0047.